Ikat Handwoven Decorative Pillow Cushion Covers, This Cushion is absolutely beautiful and unique Uzbekistan Ikat pillow covers. 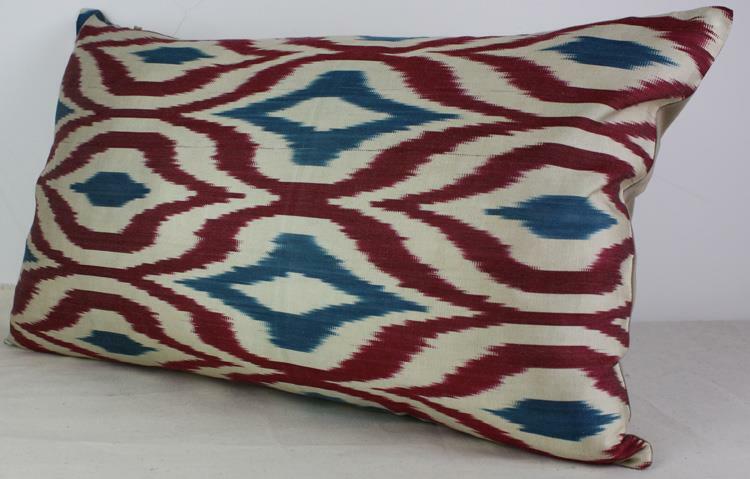 View one of the most Pillow Covers with largest selection of Silk Ikats at Rug Store online for UK and worldwide delivery. 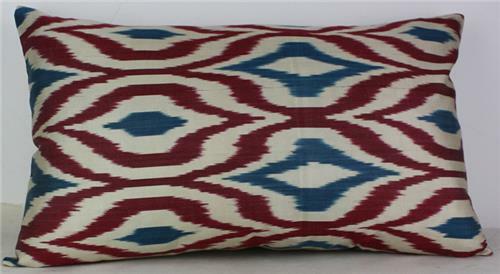 This pillow made from Hand loomed Silk Uzbekistan Ikat fabric. 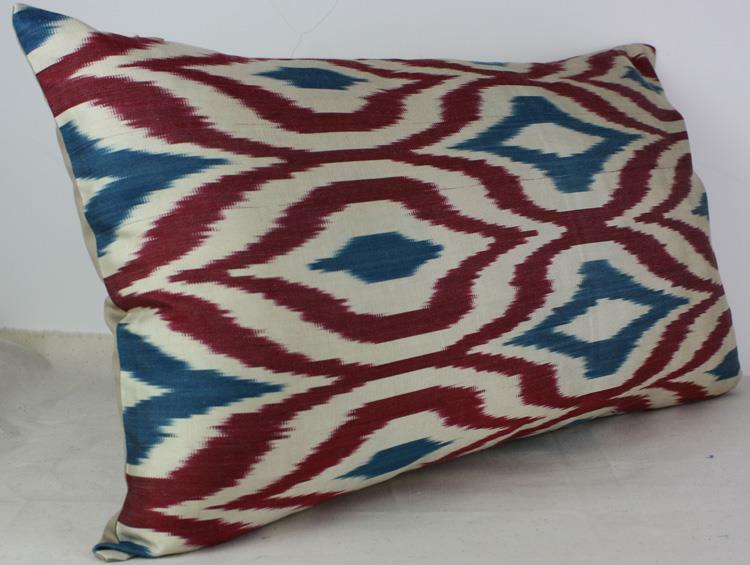 Hand woven Designer ikat throw pillow cover to decorate your luxurious penthouse apartment, infuse so sweet, quite, sooth sleep after hard working day. 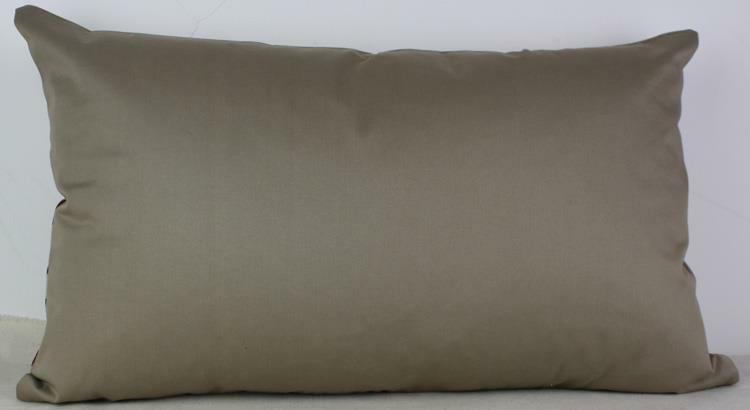 It can brighten up any old sofa or armchair. Back side is cotton fabric with hidden zipper.